This course is designed as an introduction to Plant Physiology. Students will learn fundamental concepts and innovative research that encompasses this exciting field based on the functioning of plants. 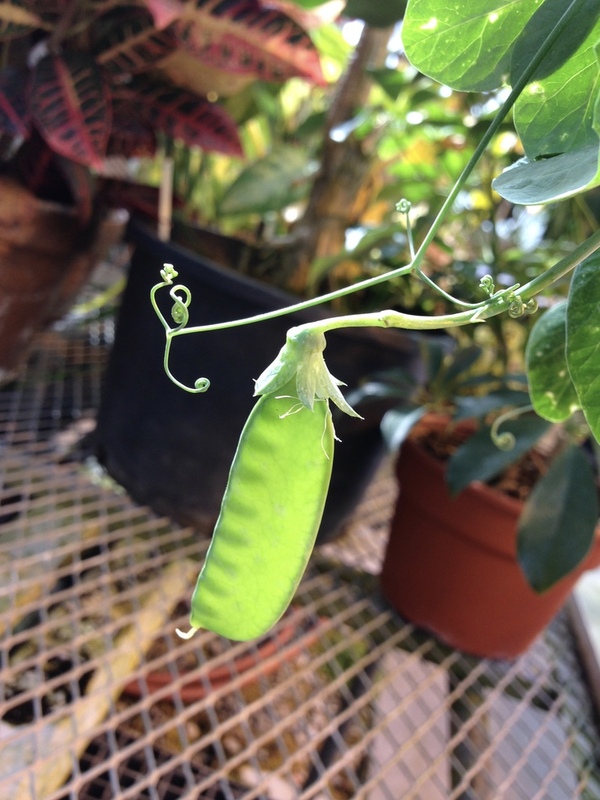 Through this course students will learn about the biochemical and molecular processes to whole- plant function, such as germination, growth & development, phenology, plant diseases & defenses, and adaptations to stress. We will take an eco-physiological approach for using the key concepts in plant physiology to understand dynamic ecosystem processes, response and adaptation to climate change, and biodiversity of plant communities. 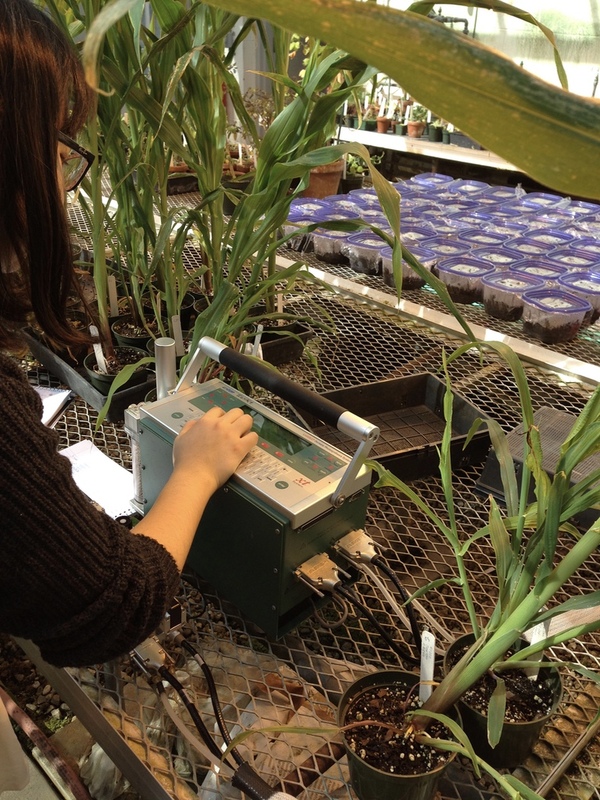 This lab focuses on the impacts of the environment on plant physiology. This course uses a research-based approach to learn key concepts in plant physiology in order to understand plant function. 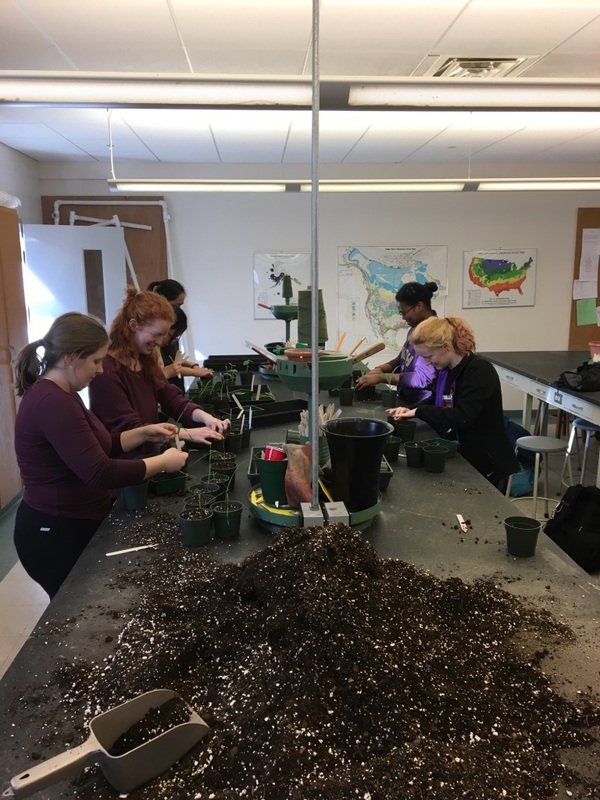 Throughout the semester we cover a broad range of topics that encompass variation in gas exchange, nutrient allocation, water-use efficiency, and other plant function indicators during development from seeds to flowering individuals. 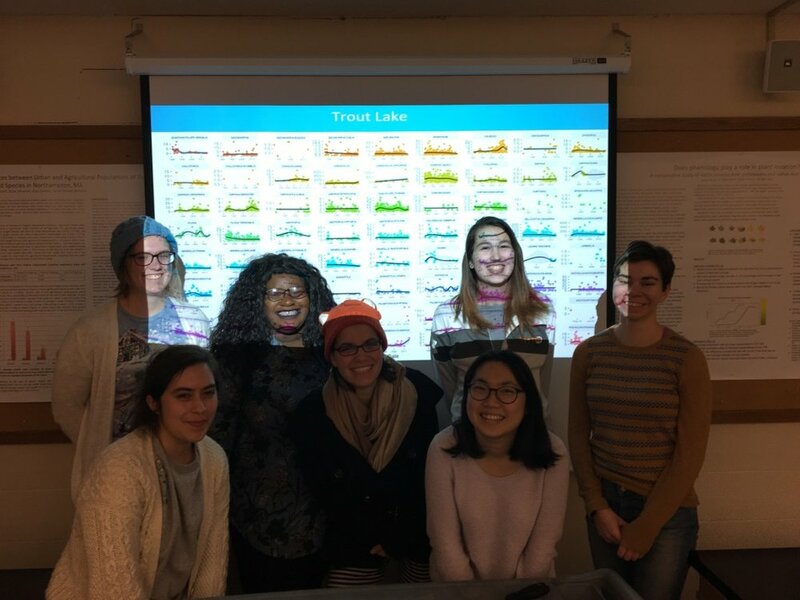 Students spend several weeks using RStudio for data manipulation, statistical tests, and graphing. The skills and tools gained through this course will help students make predictions and develop exciting methods to investigate world-pressing issues such as the impacts of global warming and climate change, invasions of non-native plants and animals, diseases, and large-scale shifts in species diversity. Students explore the interaction between an organism’s physiology and its environment. Topics include changes in climate and resources on physiological processes, with a strong emphasis on plants. Through understanding the physiology of the individual, students are able to understand the physiology of the ecosystem. 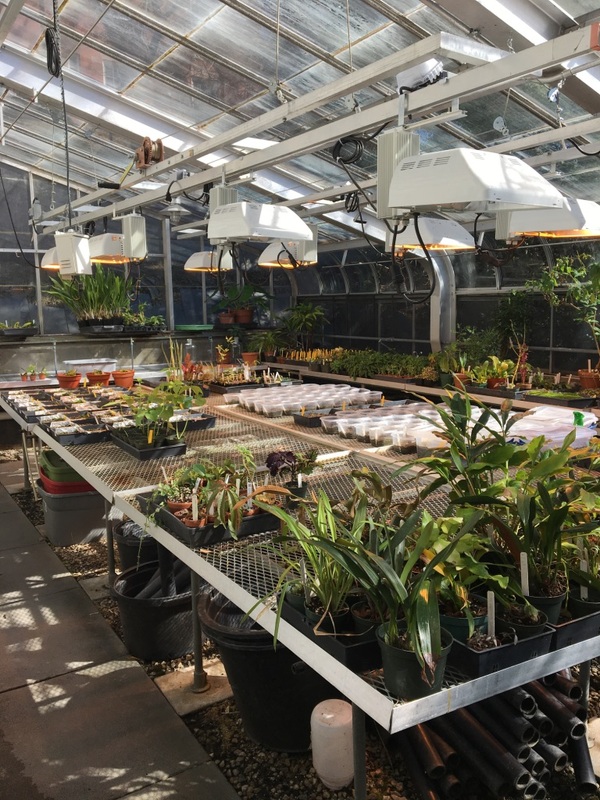 Students explore the creative and artistic side of science through independent research projects that address world-pressing problems in Ecophysiology. Projects will be based on large, long-term, publicly available datasets from world-renowned field stations. Students will use RStudio to become proficient in the art of data visualization, data exploration, and data analysis. We explore how to make scientific presentations come alive and make research more palatable to the general public. I have designed a course that incorporates (1) a critical analysis of the current global change research and how it is represented by the media sources and (2) exercises and projects that help students conceptualize the most up-to-date global change research and present a public friendly version of the outcomes. The course will primarily consist of student led discussion sessions on recent scientific developments. The semester culminates with the development of a newsletter that incorporates student creativity and research. Ultimately, the course addresses pressing global change problems and investigates the role for adaptation and mitigation. Students will be able to enhance their public speaking and writing skills while exploring the vast knowledge of research focusing on the impacts of global change. Students in this course investigate the structure, function and physiology of cells, the properties of biological molecules, information transfer from the level of DNA to cell-cell communication, and cellular energy generation and transfer. The development of multicellular organisms and the physiology of selected organ systems will also be explored. In addition to lectures, each student will participate in discussion sections that focus on data analysis and interpretation while integrating mechanisms across scales.